Andy Rubin, from Google, has tweeted that providers of wireless service are activating more than 500,000 android devices every day all over the world. Andy Rubin is Google’s vice president of engineering. He continued that the number of devices being activated have registered an increase by the day. On an average, a 4.4% increase in activation every week. Noticing the regular updates about sales figure, what Andy Rubin is tweeted seems to be true. The company, which launched its Android smart phone as a competition to Apple iphone, has been constantly growing. Seven months prior to making this tweet, Andy Rubin had announced that the company was receiving activation figures of about 300,000 phones per day. Eric Schmidt, who is a former member in Google’s board of directors, had released a quote saying that Google android was being activated at the rate of 200,000 connections per day. The announcement by Schmidt had come two months before the first announcement by Andy Rubin. Google Android Honeycomb, the operating system that Google developed for android tablets, was announced in December. It was launched through Motorola Xoom. Hardly four months after this, had Google come with an update for its operating system. This software was meant to correct bugs and offer additional features such as Google talk audio/video facility. Soon after launching this update, an upgrade of Honeycomb, Ice Cream Sandwich” was announced. The new version contained several new features such as access to number of android accessories, music and movies. All these frequent releases point clearly to the fact that Google is bent upon increasing its saleability value in the market. It is also a clear indication that Google has enough arms stored to get ahead of competition. With the launch of iphone 5 looming in the line, Google seems to be gearing up to strengthen its sales too. However, Google has a clear field for the next few months until the release of the iphone 5. Apple is also gearing up for the release of its Mac OS X Lion and an operating system for its iphone. Reports by analysts suggest that Google’s android is set to have a hold over 40% of the customers during the last six months of 2011. 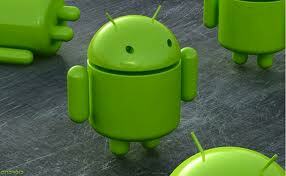 On the whole, Google android market is expected to have a market share of 38.9%, which is expected to rise to 43.5% in 2015.